Jumper with stand-up collar by Peter Hahn with long sleeves. 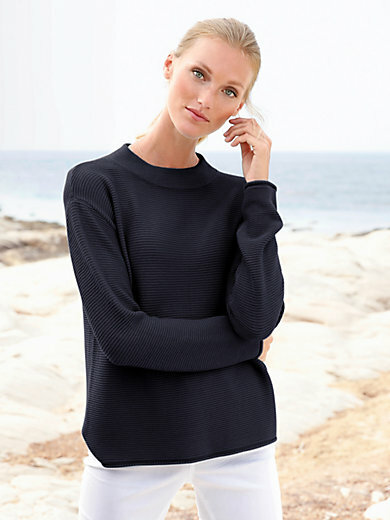 Casual style with double knitted stand-up collar and fine rolled edges on sleeves and hem. This exquisite, knitted all-rounder with a fashionable texture can be worn all-year round and is very versatile since it looks great with skirts, trousers or jeans. 97% viscose, 2% nylon, 1% elastane. Length approx. 23ins. The jumper is machine washable.